Unwind to all of your favourite hits from the fifties and sixties, this Intempo Jazz Collection album will help create the perfect party atmosphere in your home. With an incredible selection of classic songs from the era, including original recordings by Dinah Washington, Lena Horne, Louis Armstrong and more – remastered for vinyl so you can enjoy a truly authentic audio experience. 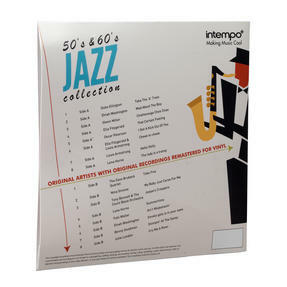 A wonderful gift for music lovers, the record also comes in a beautifully designed sleeve to preserve its quality. 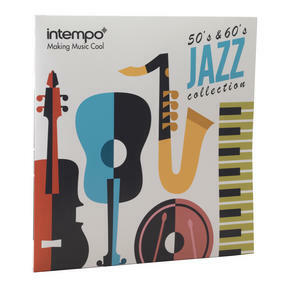 For original recordings of classics from the 50s and 60s, just add this Jazz Collection album by Intempo to your vinyl collection. The record features hits beautifully sung by Ella Fitzgerald, Glenn Miller, Nina Simone and many more famous artists from the era.